Who can remember these young fellows??? 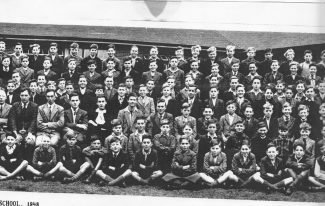 photo taken in the Quadrangle of St Chads School 1948, There are a total of 328 boys and I’ve been able to remember 187 of them. I’m standing photo 4, right side, top row, third in, those to my right are Andy Mackenzie, Tony Cole, unknown, John Baldry, John Saddington and those in the next lower row extreme right, Francis Jewel, unknown, Maccabe or Macnabe, Brian Howroyd, Derek Pudney, Ralph Salmon. By kind permission of Chris Bell, a school friend and also in the series of photos, here is the centre section. Does that help Keith?? 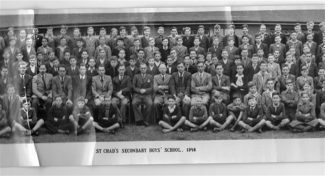 I do not have any pictures of my dad from his younger years, but I believe he attended St Chad’s and would have been a student there during this time. Can anyone tell me if James (Jim, Jimmy) Kemp is in any of these pictures? Does anyone have memories of him they would be happy to share? Thanks anyway Tony, was great to see people who had such an influence on your life. Is it possible I could re-photograph your photo at a later date (2015) ? I would like the photos shown without the glass reflection on it. Am I being picky? Once again thanks for sharing a great photograph. I think the teacher Newman was just out of teacher- training in 1948, when the pictures were taken. Further to Gainsborough, the year after you moved there was the start of my National service so its doubtful that we came into contact, these are the families I can remember starting from St Chads end, our side, Yallop, Elson, Barker, Smith, Goldsmith, Hudson, Duligal, Masters, Knight, Marr, Lawson, Webb, Martin, Barness, Mills, opposite side Feenan Highway end, Belton, Lawrence, Saunders, Kennedy, Metcalf, MacKenzie, Sculpher, Frost, Enwood, Head, Cole, Wilson, Bell (I still correspond with Chris), Barrand, Hardy, Shayshuck,Milligan, not bad for a memory of 60 year ago but I do have trouble remembering what day it is Ha! Ha! Ha!. Thanks for the extra photo showing Tom Percy in full, will download it for my own archives. Terrific to see the faces of these teachers after all this time, opens up part of the brain that hasn’t been used for 50 years. 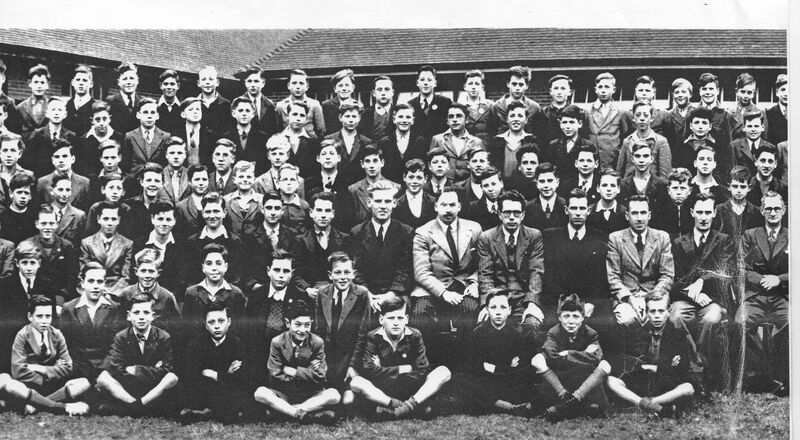 Can you tell me if the teacher Newman in the photo transferred to Manor Primary? As far as Gainsborough Ave goes didn’t move to Tilbury until 1954 when I was 7 (corner of Sullivan and St. Chads Road). Thanks once again might catch up with you in the future when I revisit from WA. 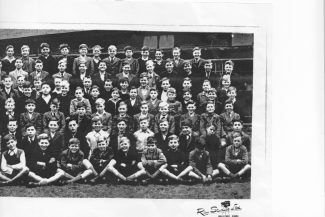 Great photos, don’t know any of the boys in it, I was too young, but of particular interest were the teachers in photos 2 & 3. On the original photos does it show Tom Percy and Stoney in full? my dads name was danny falconer thanks for pointing him out. 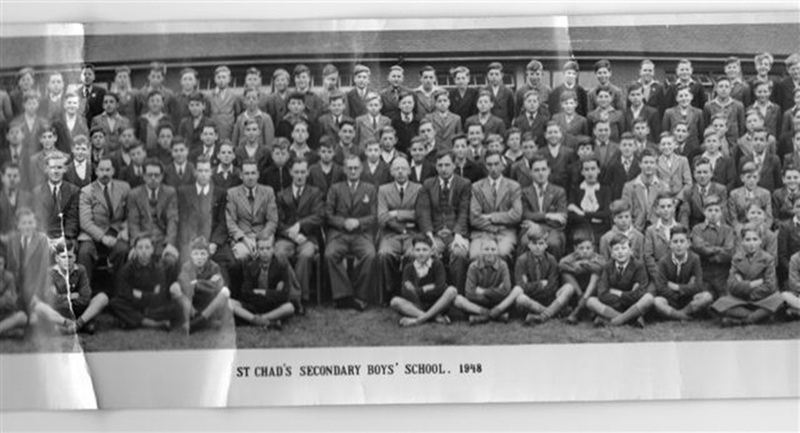 I don’t remember the Malthouse boys and can’t yet find Danny Falkner in these photos, but Danny is in “St Chads School 1950” where he is named; he is also in “St Chads 1948/49 2nd. 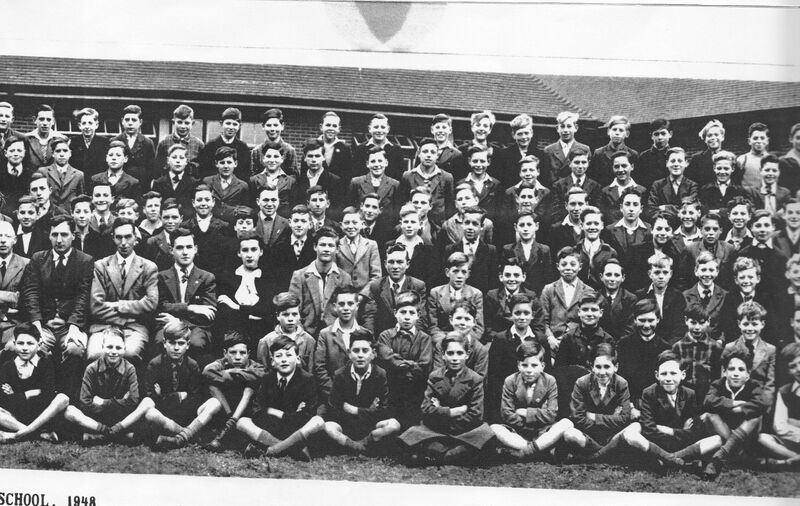 Year Boys” in the top photo; top row; 5th. in from the left. Hi could you tell me please if that is my uncle james malthouse second photo down third from the right on the 2nd from the top row. ? Many thanks for the ‘heads-up’ Tony. 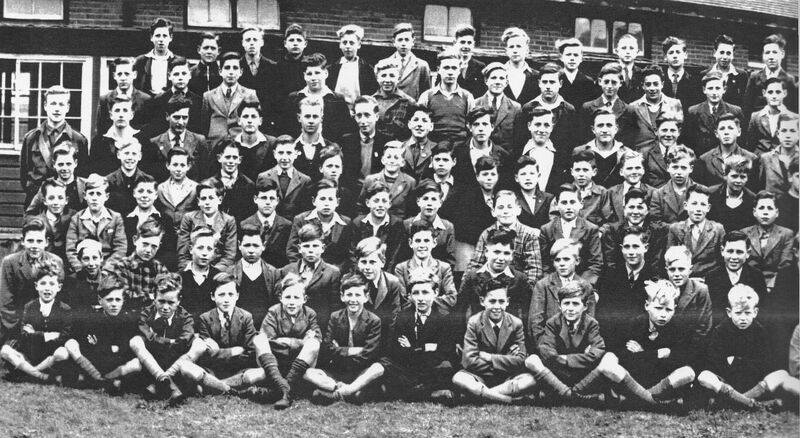 Hi John, I can remember you quite well, and I think Brian Bristow is in 2nd photo right side in front of Jack Priest ( can you remember the printing press in his classroom?) 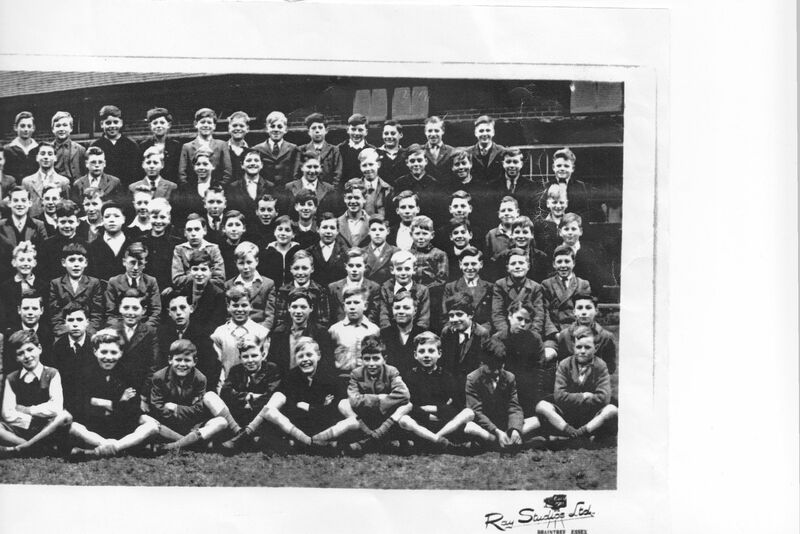 and his brother is (I think) in 4th photo, right side, 3rd row down and 7 in, next to Brian Sparrowham. Those either side of you are Tony Cole and John Saddington. That’s amazing Tony, that you can ID over half of this lot. I can’t find the 40 odd from my class, or my ‘street mates’ (Bill & Brian Bristow). I wonder how they organized us, my class is spread over all four photos!! In photo 4 top right, if you are No.3, I think No.1 is Bob Burns and I am No.6, the kid with the fair hair, John Baldry. Great photos, thanks for posting them, John. 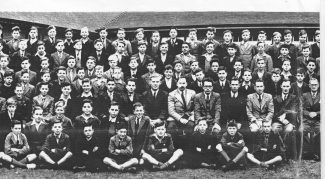 And looking at the picture again I think I got the wrong brother the one in the 3rd picture 4th row from the top and 5th from the right is Albert I think in front of him is John Arnold. 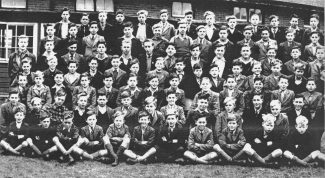 There were 6 Richards brothers Jack, Charlie, Jim, Gordon, Albert and Len they lived in Tyndall Cottages Christchurch Road. Thanks George, your brother was one of the 180 odd that I recognised, and of course you were another one, memories, memories. Hi Audrey, was Gordon Richards the ships plumber Jacks brother. Also is your Jack in the photo of chadwell club members under “TOPICS” OF TO THE RACES.